Alan hails from Minnesota and received a BS in Computer Engineering, graduating with honors and distinction from Iowa State University. 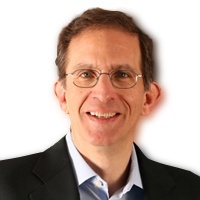 Prior to joining Contrast in 2016, Alan served as the Chief Executive Officer at 41st Parameter Inc. (a Kleiner-Perkins backed company) up to its successful acquisition by Experian. Alan has also served as the Chief Executive Officer of CoWare, Inc. (a Greylock backed company) until its acquisition by Synopsys. He has more than 25 years of technology management experience in the cybersecurity, e-commerce, and computer industries. Mr. Naumann previously served as an executive at Calico Commerce, Cadence Design Systems, and Hewlett-Packard. He currently serves as a member of the Advisory Board for Innovation, Creativity, and Entrepreneurial Studies at Wake Forest University. Jeff brings more than 20 years of security leadership experience as Co-Founder and Chief Technology Officer of Contrast. Previously, Jeff was Co-Founder and Chief Executive Officer of Aspect Security, a successful and innovative application security consulting company acquired by Ernst & Young. Jeff is also a founder and major contributor to OWASP, where he served as Global Chairman for eight years and created the OWASP Top 10, OWASP Enterprise Security API, OWASP Application Security Verification Standard, XSS Prevention Cheat Sheet, and many other widely adopted free and open projects. Jeff has a BA from the University of Virginia, an MA from George Mason, and a JD from Georgetown. Arshan is an accomplished security researcher with over 10 years of experience advising large organizations on application security. Prior to Contrast Security, Arshan spent eight years at Aspect Security in a research role where he used static and dynamic technology to perform security assurance work, including code reviews, architecture reviews, and penetration testing. From his experience at Aspect Security, Arshan quickly discovered that securing applications was a massive undertaking – one that required innovative, deeply accurate technology and continuous testing. His response was to co-found Contrast Security. Only the kind of technology that Contrast offers can help organizations escape the rat race that was legacy application security programs. In his role as Chief Scientist at Contrast Security, Arshan draws on experience to guide the product line, drive new products and features and spreads the gospel about binary instrumentation. Arshan has released popular application security tools, including AntiSamy, ESAPI, JavaSnoop. He graduated with an MS in Computer Science and Artificial Intelligence. Surag brings more than a decade of experience to Contrast Security, where he serves as Chief Strategy Officer. An experienced, highly analytical product and marketing executive, Surag’s focus is in driving Contrast’s global marketing and product strategy. 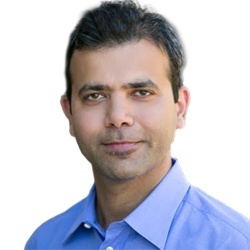 Prior to Contrast, Surag served as Vice President of Global Product Management and Corporate Marketing for 41st Parameter, which was acquired by Experian in 2013. Prior to 41st Parameter, Surag led global data strategy and consumer insights for InMobi, the largest global independent mobile ad network. Surag blends his experience of bringing innovative products to market with a mix of engineering skills, product strategy, and domain expertise. Prior to InMobi, Surag spent five years at Comscore leading advertising effectiveness research and development of the Ad Effx™ suite of products. Surag holds a BS in Computer Engineering from Cal Poly, San Luis Obispo, and an MS in Engineering Management from Duke University. As Vice President of Sales for Contrast Security, Mike is responsible for driving sales and operations for the company. 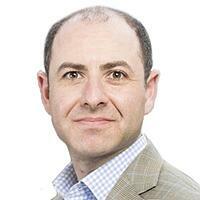 He joins Contrast Security from Symantec. Mike’s leadership, experience, passion, and energy were the hallmarks of a ten-year tenure at Symantec. 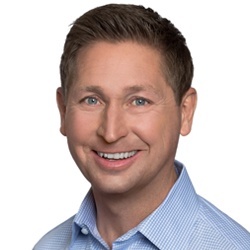 Mike rose through the ranks from Global Account Manager to District Manager, to Senior Director of Field Channel Sales for North America, to serve as Vice President for Symantec’s North American West Region during his final three years at the company. Mike has over 20 years of sales leadership experience combined with 10 years of cybersecurity experience. Prior to his successful career at Symantec, Mike spent time in sales roles at Nortel, Bay Networks, and Data Comm Networking. Mike is an alumnus of Southern Illinois University, having earned a BS in Marketing. Outside of work, he lives an active lifestyle centered around outdoor activities with his wife and their three children. Steve heads up all of product development and cloud operations for Contrast. He brings more than 15 years of experience building high-performing software engineering and web operation teams that are fluent in the art of agile development and continuous delivery. Prior to Contrast, Steve served in a similar capacity at Blackboard where he championed engineering initiatives around software craftsmanship, performance, and application security. His development experience spans mobile, enterprise and cloud computing technologies. He has co-authored a number of articles and papers about building and deploying high-performance computing systems. Steve holds a BA from Georgetown University and an MS from the Johns Hopkins University Applied Physics Laboratory. Ann brings over 10 years of experience building and leading finance and accounting teams for high-growth technology companies. She began her career in public accounting, where she held roles in audit and tax work for the Big Four. Transitioning to corporate finance, Ann developed expertise in FP&A, international tax, treasury, and financial reporting. 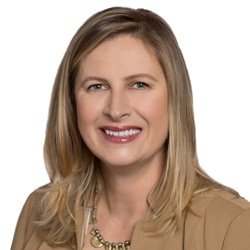 Most recently, she advised enterprise software, SaaS and PaaS companies on issues around GAAP accounting, systems implementations, business process automation, and post-acquisition integration. Ann holds a BBA from the McCombs School of Business at the University of Texas at Austin and is a licensed CPA. 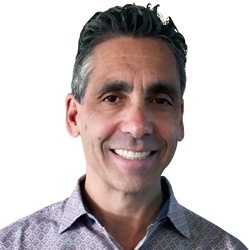 Scott has over 20 years of leadership experience scaling and transforming the post-sales customer experience for industry leading enterprise software companies. 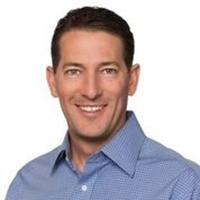 Scott held key leadership positions in Customer Success and Sales Engineering at two pre-IPO enterprise software startups (Cadence Design Systems, Genesys Telecommunications), helping them grow to industry leading public companies with combined annual revenues of over $1B. In addition, in his role of VP World-Wide Support at Good Technology, he helped the company grow and expand from annual revenue of $50M/year to over $220M in four years, leading to a $425M acquisition by Blackberry. Alan served as the Chief Executive Officer at 41st Parameter Inc., up to its successful acquisition by Experian. Alan has also served as the Chief Executive Officer and President of CoWare, Inc., and Calico Commerce, Inc. He has more than 25 years of technology management experience in the cybersecurity and computer industries. Mr. Naumann previously served as an executive and then Vice President of Cadence Design Systems, from 1987 to 1997. During his 10 years with Cadence, Alan helped drive and/or implement many of Cadence's 16 mergers and acquisitions and rapid expansion into Japan. He was employed by Hewlett-Packard Company in its computer business sector from 1982 to 1987, holding key positions in the computer business sector, regional field operations, and the Corporate Computer Strategy group. He currently serves as a Member of the Advisory Board at Wake Forest University. Alan received a BS in Computer Engineering, graduating with honors and distinction from Iowa State University. Jeff brings more than 20 years of security leadership experience as Co-Founder and Chief Technology Officer of Contrast. In 2002, Jeff co-founded and became Chief Executive Officer of Aspect Security, a successful and innovative consulting company focused on application security. Jeff is also a founder and major contributor to OWASP, where he served as the Chair of the OWASP Board for eight years and created the OWASP Top 10, OWASP Enterprise Security API, OWASP Application Security Verification Standard, XSS Prevention Cheat Sheet, and many other widely adopted free and open projects. Jeff has a BA from the University of Virginia, an MA from George Mason, and a JD from Georgetown. 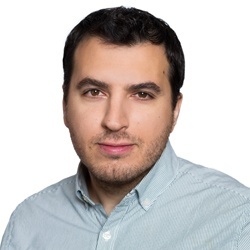 Rami is a general partner at Acero Capital, a venture capital firm focused on investments in business software (mobile, cloud, security, infrastructure). Until its acquisition by Oracle, Rami also served as director on the board of Bitzer Mobile (enterprise mobility). 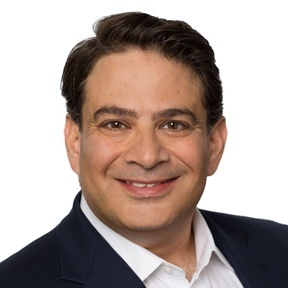 Prior to Acero, Rami was General Partner at Southeast Technology Funds where he focused on IT infrastructure software investments, and served on the boards of several investments including Pixel Magic (acquired by Dai Nippon), Waveguide Solutions, Elumens Corporation & Arsenal Digital (acquired by IBM). Rami is a graduate of Purdue University where he earned a BS in Computer & Electrical Engineering and a graduate of M.I.T. where he earned an MBA in Finance and was named the Henry du Pont III Scholar. Steve Herrod, Ph.D., is a managing director at General Catalyst, a venture capital firm with approximately $3.75 billion in capital raised. 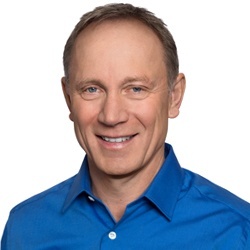 At GC, Herrod focuses on investments in security, infrastructure, and SaaS technologies and currently serves on the boards of several companies including Datto, Illumio, Menlo Security, and Contrast Security. 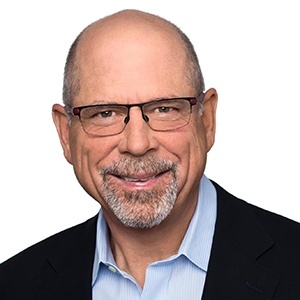 Prior to joining General Catalyst, he was Chief Technology Officer and SVP of R&D at VMware, where he helped build and manage a 3,000-person engineering team responsible for delivering industry-changing products in the virtualization space. Herrod earned a Ph.D. in Computer Science from Stanford University and a BA from the University of Texas at Austin. Outside the office, Herrod is an avid swimmer, part owner of a coffee shop, and can often be found cheering his children on at their many sporting events. John M. Jack (JJ) has worked in the software industry since 1980 in sales, marketing, and executive management. Highlights include Chief Executive Officer at Fortify Software (sold to Hewlett-Packard) and Chief Executive Officer at Covalent (sold to VMware); Chief Operating Officer at The Vantive Corporation (public, sold to PeopleSoft); and, executive positions at Sybase, Inc. Since leaving Hewlett-Packard in January of 2012, he has served as a consultant to start-up companies and their Chief Executive Officers. JJ currently serves on a number of venture-backed company boards in the cyber-security and other segments. He is also a board partner at the VC firm Andreessen Horowitz. 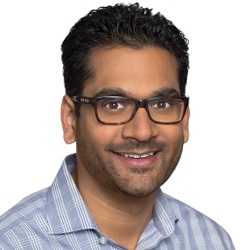 Dharmesh joined Battery Ventures in 2015 to focus on early-stage venture and growth-equity investments in areas including cloud infrastructure, big data, security and next-generation enterprise applications. Previously, he was a managing director at Intel Capital, where he led the firm’s global cloud and big-data practice and made early and later-stage investments in companies globally. He also assisted in long-range strategic planning for Intel’s $14 billion datacenter group. Before joining Intel Capital, Dharmesh worked as an enterprise-focused venture capitalist at Advanced Technology Ventures, and before that spent almost a decade working in the enterprise software industry in go-to-market and channel-expansion roles, including at Keynote Systems. In 2016, Dharmesh was named to the Forbes Midas Brink list of up-and-coming venture capitalists. He is a graduate of the University of Texas at Austin, where he received a BS in Electrical Engineering, Dharmesh also holds an MBA from the Wharton School of Business. 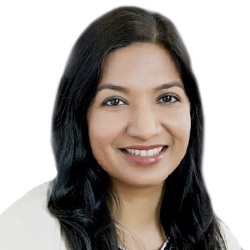 Rashmi leads enterprise software investments for Microsoft Ventures in the Bay Area. She brings a combination of strong venture capital and startup operating experience. Previously, Rashmi was an Investment Director at Intel Capital focused on investing in cloud, infrastructure, and big data companies. She also led global business development for high-growth startups Couchbase and BlueData. Prior to that, she held business development and product development positions at GE and Oracle. Rashmi has an MBA from the J.L. Kellogg Graduate School of Management at Northwestern University and a Bachelor of Engineering from the University of Mumbai in India. Alex is a General Partner focusing on growth equity investments at AXA Strategic Ventures (ASV), a $275 million global venture capital firm, where his portfolio responsibilities include One, Inc. and Contrast Security. Prior to ASV, Alex was a Principal at New Enterprise Associates, where his investments included Braintree (online and mobile payments) and Box (enterprise collaboration SaaS). Previously, Alex invested in enterprise software, fintech and Internet companies at Silver Lake, 3i and FTV Capital, where his portfolio included Trustwave (security SaaS), Coremetrics (web analytics SaaS) and Actimize (risk management software). Prior to becoming an investor, Alex held operating roles at Microsoft and Trilogy and was a management consultant at Monitor Group. Alex graduated with Distinction from Stanford with an MS in Engineering and AB in Economics and received an MBA from Harvard, where he was named a Baker Scholar. John W. Thompson joined the Microsoft Board in February 2012, and became independent chairman of Microsoft Corporation on February 4, 2014. Thompson brings over 40 years of experience in the technology industry. Most recently, he served as chief executive officer of Virtual Instruments, a privately held company. Prior to this, he was the Chief Executive Officer of Symantec for 10 years, during which time he helped transform the company into a leader in security, storage, and systems management solutions. Thompson also held several leadership positions during his 28 years at IBM in the areas of sales, marketing, and software development, and he also served as general manager of IBM Americas. Since 2009, Thompson has been an active investor in early-stage technology companies in Silicon Valley. He currently serves as either an advisor or board member with Liquid Robotics, ReviverMX and Illumio. Previously, he served on the boards of NIPSCO (Northern Indiana Public Service Company), Fortune Brands, Seagate Technologies, and United Parcel Service (UPS). In addition to his services in the technology industry, he is also a member of the board of trustees for the Wetland America Trust. He has served on the national board of Teach for America and on several government commissions that include the Financial Crisis Inquiry Commission, the National Infrastructure Advisory Committee, and the Silicon Valley Blue Ribbon Task Force on Aviation Security and Technology. Thompson received a bachelor’s degree in business administration from Florida A&M University, and an MS in Management Science from MIT’s Sloan School of Management. In 2008, he received an honorary doctorate degree from the University of Notre Dame, Mendoza College of Business, and in 2014 he received an honorary doctorate degree from Florida A&M University. 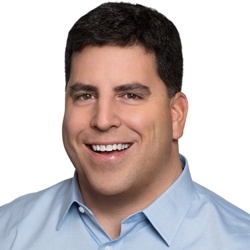 Ron Gula is currently Chairman of the Board of Tenable Network Security, a company that is transforming security technology for the business needs of tomorrow. Frequently sought out by media such as the Bloomberg, Forbes and New York Times, Ron Gula is one of the leading cybersecurity thinkers in the industry. Ron started his career in information security at the National Security Agency conducting penetration tests of government networks and performing advanced vulnerability research. He was also the original author of the Dragon Intrusion Detection System and Chief Technology Officer of Network Security Wizards, acquired by Enterasys Networks. At Enterasys, Ron helped many financial, government, service providers and commercial companies to enhance their network security monitoring. He also served as Director of Risk Mitigation for USinternetworking. While working for BBN Technologies and GTE Internetworking, Ron helped to develop one of the first commercial network honeypots and developed security policies for large carrier-class networks. Ron served as Chief Executive Officer for Tenable from its founding until May of 2016. As a community leader and a passionate advocate for education and scientific research, Ron serves on the Advisory Board for the University of Maryland Cybersecurity Center. He was also appointed to the National Cybersecurity Science, Technology, Engineering and Mathematics Education Advisory Board as part of the National Initiative for Cybersecurity Education. Ron has received special awards for leadership from both The Washington Post and The Baltimore Sun, and was named Ernst and Young Entrepreneur of the Year 2013 for defense and security, together with Jack Huffard and Renaud Deraison. He has authored three patents. Ron holds a BS from Clarkson University and an MSEE from the University of Southern Illinois. 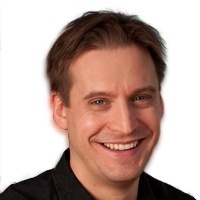 Brian was the Founder and Chief Technology Officer of Fortify Software for 10 years. After Fortify, he founded Ritual Software and is now the SVP of Infrastructure and Security Engineering at NetSuite where he implements a wide range of security products. In between, Brian's started several security companies, written a book, authored a number of cybersecurity papers, and is an inventor of a variety of patents. Brian holds a Ph.D. in Computer Engineering from the University of California, Santa Cruz, where he studied the application of static analysis to the problem of finding security-relevant defects in source code. He's worked on a broad set of topics, including integrated circuit design, cloud-based business applications, and enterprise security. 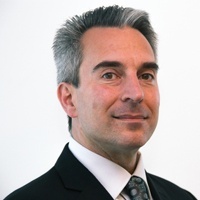 As a General Catalyst XIR and Chief Executive Officer of Lowell Cambridge Partners II, LLC, Paul Sagan leverages his operational experience and domain expertise to support businesses that capitalize on trends in cloud computing, hyper-connectivity and mobility, media and big data. Paul is non-executive chairman of the boards of Datto and L2, which are both General Catalyst portfolio companies. 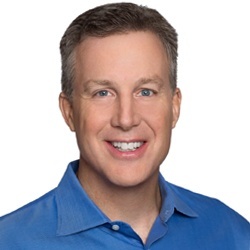 Paul is a Director of Akamai Technologies, which he joined as Chief Operating Officer and employee #15 in 1998, and served as Chief Executive Officer for nine years until 2013. Paul also is a Director of two other public companies, EMC and VMware. Previously, Paul served as a director of iRobot, and earlier at Dow Jones & Company, Digitas and Maven Networks before they were acquired. Paul was a senior advisor to the World Economic Forum from 1997 to 1998. He held a number of management positions at Time Warner from 1991 to 1997. He was a Founder of Road Runner, the world’s first broadband cable modem service, and Pathfinder, one of the early Web properties that pioneered Internet advertising. Paul joined Time Warner Cable in 1991 to design and launch NY 1 News, the television news network based in New York City. Paul’s career began in broadcast television news. He joined WCBS-TV in 1981 as a news writer and was named news director in 1987. President Obama appointed Paul to the President’s National Security Telecommunications Advisory Committee in 2010. In 2015, Paul was appointed as Chairman of the Massachusetts Board of Elementary and Secondary Education. He is a three-time Emmy Award winner for broadcast journalism in New York, a fellow of the American Academy of Arts and Sciences since 2008, and the 2009 Ernst & Young Entrepreneur of the Year in the technology category. In 1996, the World Economic Forum named him a Global Leader for Tomorrow. Paul is a member of the Visiting Committee in the Department of Electrical Engineering and Computer Science at MIT; a member of the board of ProPublica; a life trustee of Northwestern University and a graduate of the Medill School of Journalism at Northwestern; and a Winter 2013 Fellow and a member of the advisory board of the Shorenstein Center on the Media, Politics & Public Policy at the Harvard Kennedy School of Government. He was a member of the Knight Commission on the Information Needs of Communities in a Democracy. Welcome to the era of self-protecting software.